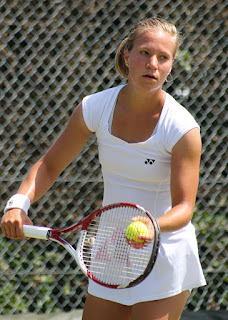 Viktorija Golubic was born on October 16, 1992, in Zurich, Switzerland. So far in her tennis career, Viktorija Golubic has won one WTA women's singles titles when she beat Kiki Bertens at Gestaad and her career earnings are $320,000. At the Grand Slam tennis events the farthest Viktorija Golubic just had her best showing at the French Open in 2016 when she reached the second round. Hope you like the photos of Viktorija Golubic the rising tennis star from Switzerland in 2016.